Three caribou from soon-to-be-extinct herds in the southern Selkirk and Purcell mountains have been relocated to Revelstoke. 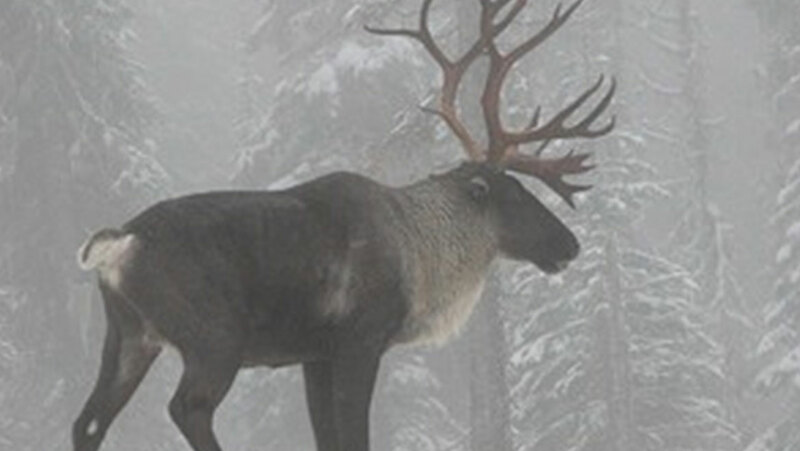 The Ministry of Forests, Lands and Natural Resources conceived the plan, in August 2018, as a way of giving the animals a better chance of survival in a region with the larger Columbia North caribou herd. The caribou is a member of the deer family and adapted to cope with harsh winter conditions. Their large, concave hooves allow them to travel in deep-snow conditions. Today, the woodland caribou is one of the most critically endangered mammals in the U.S., with only a few woodland caribou found south of the Canada border. Canada’s caribou populations have been dwindling over the years as their habitats are becoming increasingly threatened by those seeking natural resources (like timber, gas and oil) that are present there. Climate change has also been a major factor as this phenomenon cripple food sources and creates irregular weather patterns, making it difficult for caribou to survive. A report in Science reported that the female caribou captured on Jan 14, 2019, is believed to be the last member of the final herd to cross over from Canada into the lower 48 states. The South Selkirk herd were once part of a larger population of southern mountain caribou whose habitat spanned much of the Pacific Northwest. By 2009, the Selkirk herd was estimated to have about 50 members, living in an ecosystem that stretched from British Columbia to Washington and Idaho. Seven years later that number had dwindled to 12, despite decades of efforts to save them. Last week, biologists with the provincial government of British Columbia suggested just three members of the herd remained. The Selkirk herd was an example of the failure of the Endangered Species Act in the US, catapulting Canada into the first major test of its international commitments to protect biodiversity. Across their range, caribou are an essential resource to the indigenous peoples. Northern communities have an intimate relationship with caribou herds and have relied on them as a source of traditional food and clothing for millennia. With such a strong interest in the persistence of caribou, and as the only people living among the most northern caribou herds, these communities are essential partners in caribou conservation projects. In addition, when caribou forage on vegetation in the summer, they change decomposition and nutrients of the tundra soil. Their droppings add nitrogen to the soil and water. Caribou are also an important prey species for many carnivores in the Arctic, including wolves and brown bears. Caribou populations fluctuate dramatically under natural conditions. When faced with external threats, their numbers can drop to dangerous levels and may fail to recover from natural population lows. There are multiple cumulative environmental and human-caused stressors that are contributing to Peary and barren-ground caribou decline. Climate change is altering the habitat of Arctic caribou, increasing the presence of biting flies in the summer, and creating irregular icing events in the winter that prevent the caribou from accessing their food. Increased mining exploration and development across their ranges put caribou herds under pressure, with the most significant risk of habitat loss and disturbance occurring when industrial development happens on their calving grounds. Harvest management during times of low abundance is challenging due to the difficulty in assessing the status of populations and a lack of reported harvest information. The absence of effective land-use planning: Most Arctic caribou are migratory, and their habitat crosses territorial and provincial borders. As the climate changes and migration patterns shift, it will be increasingly important for governments to implement plans that support wildlife and ecosystems. 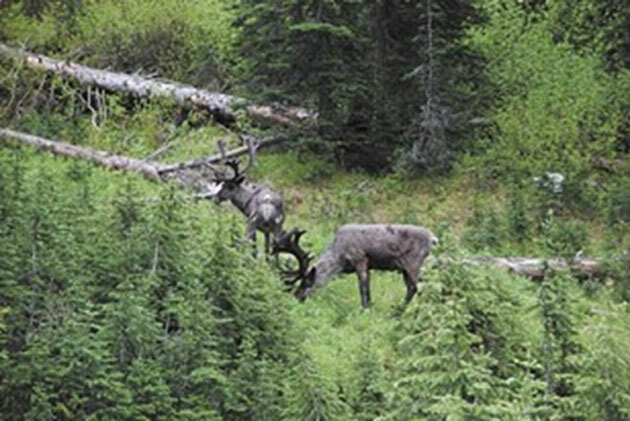 What hangs in the balance is not just the survival of a unique caribou population, but the "ecological integrity of the entire inland temperate rainforest."